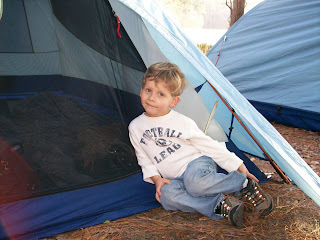 Dawson really enjoyed visiting our friend's campsite while we were at the state park. He would have liked to stay the night in the tents too. 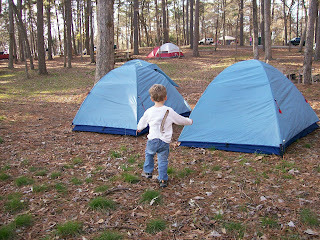 At least, he liked the idea of camping in tents - I don't know what the reality would have been. 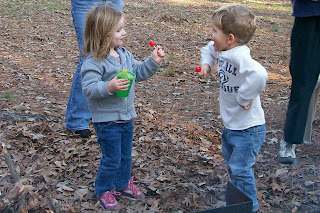 But I do think we'll try camping with him sometime soon while it's something he's interested in. I wouldn't allow Dawson inside the tents to trample everyone's stuff, so he planted himself right outside the tent and pretended he was in the tent. Do you see the treasure he found while we were there? A giant bird feather. I think it's hilarious how he shoved it in his jeans to ensure it stayed with him. 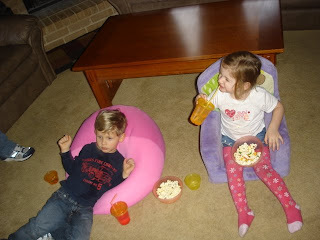 Kaelin and Dawson love to "cheers." While they do the traditional cheers with cups, they also enjoy doing cheers with things like suckers. I love how he's watching her out of the corner of his eyes. 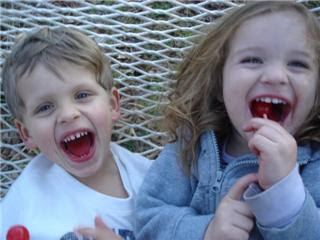 Showing off their red tongues. 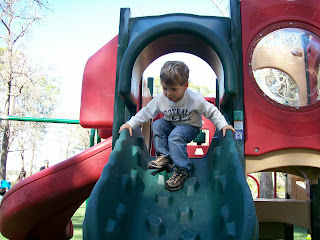 We were at the park the other day and he was telling another mom that I was going to have a baby. He intently explained, "She's gonna get bigger, and bigger, and bigger, like this" and he held his arms out as far as he could. He likes to feed the baby as well. Whenever he's eating a snack, he'll come up to me and tell me, "I want to feed the baby a grape" then he'll hold the grape up to my mouth and have me eat it. He'll do the same with water - "I want to give the baby a drink of water." He'll also tell the baby the different things we're doing. 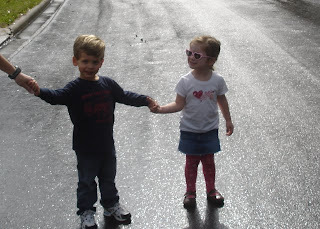 "Baby, we're going to the library" or "Baby, we're going to go play with Kaelin." The funniest moments are when he talks to the baby. He'll lift my shirt and put his lips right up to my bellybutton as if it's a microphone to the baby. He'll say, "Baby, when you come out I'm going to hold you and rock you and give you a pacifier and a bottle of milk." He's going to be such a good big brother! I pray this baby has the same kind, loving nature as Dawson. 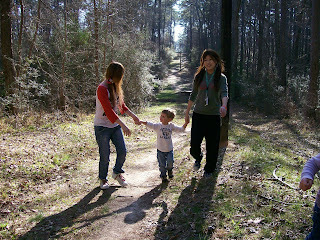 A few days ago, Dawson and I met some friends at the Huntsville State Park. 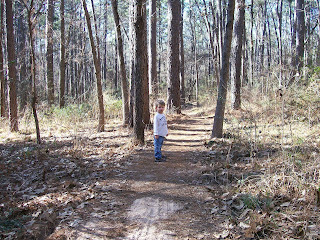 While we were there we decided to explore one of the many trails. Dawson was a speed racer on the trail, running far ahead of the rest of us. Here, he stops momentarily to wait for us to catch up. 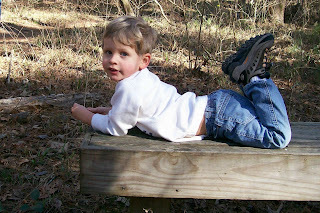 Taking a little rest on a bench. 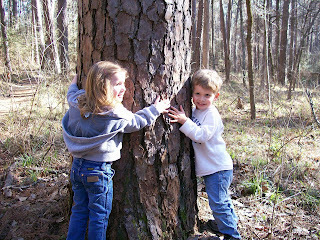 Kaelin and Dawson giving the tree a big hug. Dawson with 2 Japanese exchange students who are here to study English at SHSU. 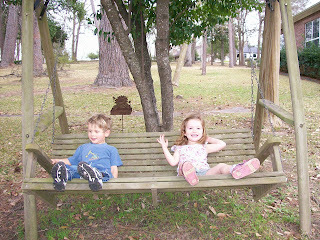 They were very excited to go camping and were especially enamored with the bright Texas stars. 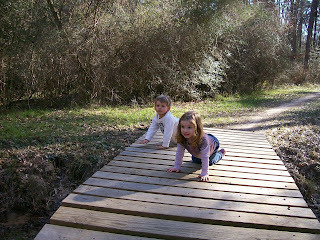 For some reason, they thought crawling across the bridge was fun. We encountered a couple and their 2 dogs on the trail. 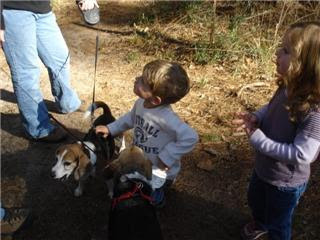 Dawson and Kaelin were thrilled to pet the dogs. 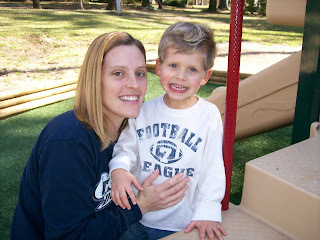 Dawson and I have been spending lots of time outside enjoying the beautiful weather. 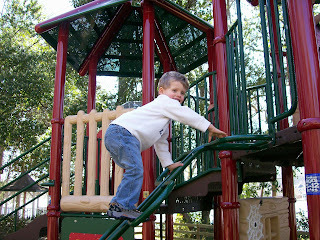 Here are some pictures of him playing at the Elkins park. Trying to master the bubble wand. A rare picture of Dawson and me. 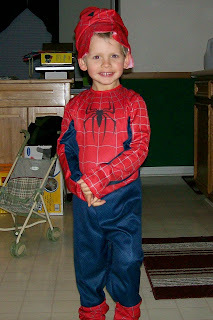 He was so cute I couldn't resist posting it. 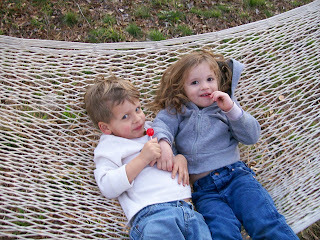 Dawson and Kaelin hanging out in a hammock. 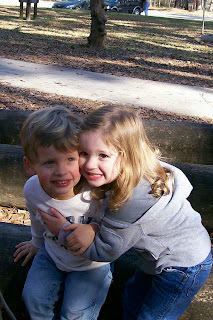 Here are more pictures of Dawson with his good friend, Kaelin. 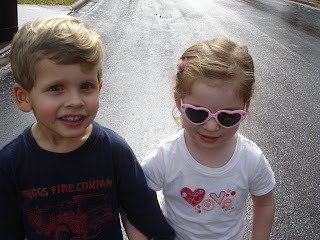 Walking hand-in-hand to Kaelin's house. 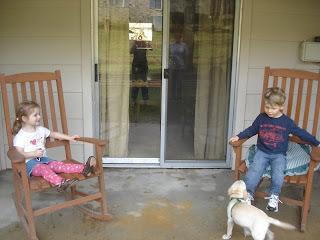 Playing in the rocking chairs outside Kaelin's house. Vegging out and watching and episode of Veggie Tales. 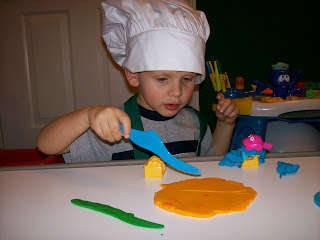 He needs his play-doh scissors to do some cutting. 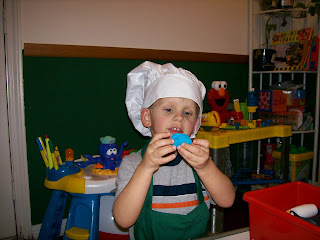 He's showing me some blue fish that he made. 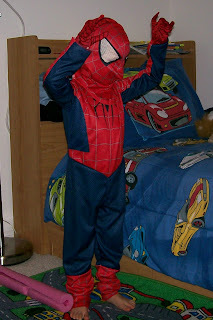 Dawson in his complete Spiderman costume. 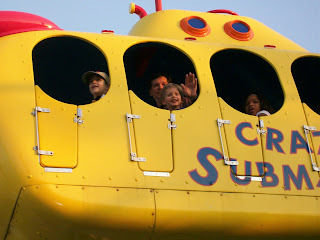 Dawson and Randy on the crazy submarine. 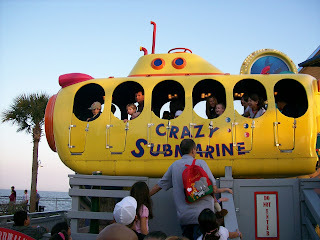 We made a trip to the Kemah Boardwalk last weekend. 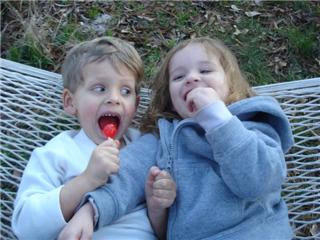 Dawson had been once before and had a great time. The same was true this time. In fact, we stayed for 5 hours!! He loved every ride he went on and was disappointed that he couldn't go on every ride (he didn't reach the height requirement for some of the bigger, more thrilling rides). 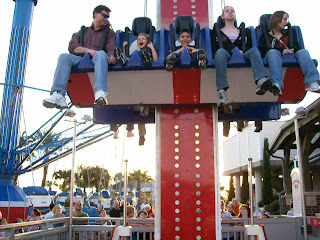 His favorite attraction was the bouncer, which repeatedly takes you up and then suddenly drops you. 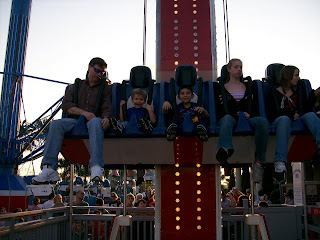 We rode the bouncer many times. 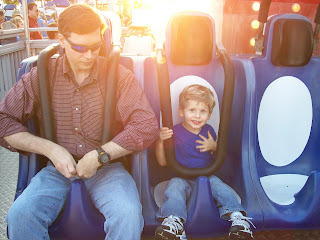 Dawson was frequently the smallest kid on the ride, but clearly the one who enjoyed it the most. 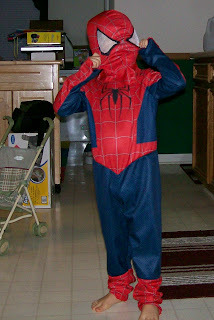 He just screamed and squeeled in delight and had a giant smile on his face the entire time. It's such a joy to see him have so much fun. Getting ready for the ride to start. All smiles as the ride comes to an end. 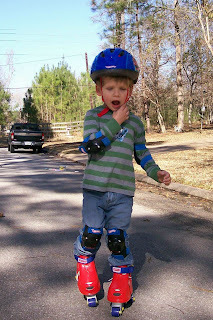 Dawson trying out his new roller skates. He takes the saying "running errands" literally. He'll get his wagon or stroller, take off running at full speed, and tell me "I'm running errands, Mom." Whenever Gertrude is somewhere she shouldn't be (like on top of the television) or doing something she shouldn't (like clawing our rug) Dawson will say in his deepest voice, "Stop that, Gertrude. Get down from there, Gertie." The deep voice is especially funny, like he's impersonating us when we tell him to stop doing something. Throughout the day he'll ask me what different things are saying, like they are talking to him. "What are the trees saying? What's the sun saying? What are those cars saying?" And whenever I invent something that they are saying, he'll answer that thought or question and then I'll have to come up with a response and we go on and on having imaginary conversations with various inanimate objects. It's pretty funny, but having these exchanges all day does get tiring. 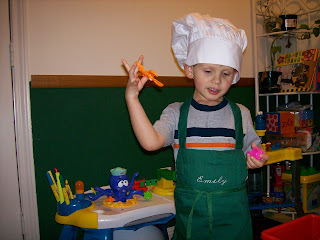 Some funny phrases he's been saying: good grief, that's pretty cool, see you later alligator, after while crocodile. Gertrude loves to squeeze into tight places. 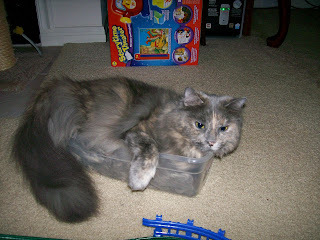 She was very happy to find one of Dawson's toy tubs empty so she could hop inside. We have been blessed with some beautiful weather this month. It's been in the 60's or 70's for several days. 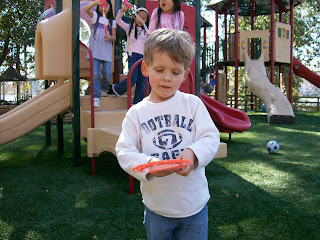 We've taken advantage of the weather and spent lots of time outside. 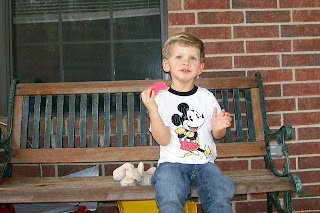 Eating a Valentine's cookie and watching the birds. 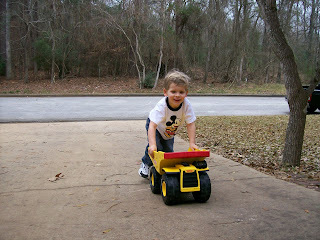 Pushing the Tonka up our steep driveway - what a stong boy! Dawson went in for his 3rd year check-up last week. 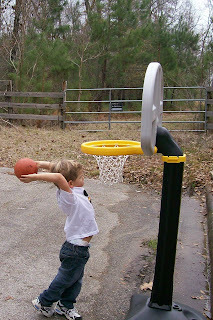 He weighed in at 38 pounds and measured 41 inches tall, although they seemed to be very generous in his height measurement (he's more like 40 inches tall). He was excellent at the doctor's office. The last couple of times he had been to see the doctor he had been sick and was not particularly keen on being poked and prodded. It was a completely different story this time. He was very personable with Dr. Knight, he enjoyed talking to him and answering all his questions. And he complied with every request - he let him listen to his heart, took deep breathes when told to do so, allowed the doctor to push on his stomach, look in his ears, eyes, and mouth. He was great!!! 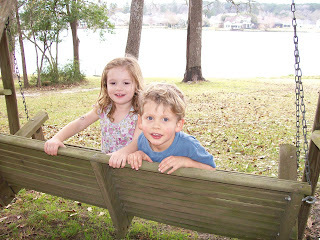 Kaelin, Dawson, and Bailey going for a ride in the boat (a.k.a. a big plastic tub). 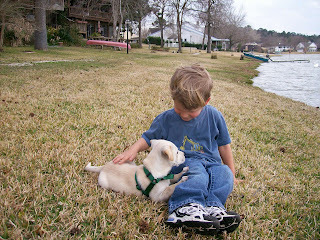 This is Dawson with Kaelin's new puppy. He told me he's "the cutest puppy." And of course now that Kaelin has a puppy Dawson is asking for a puppy too. 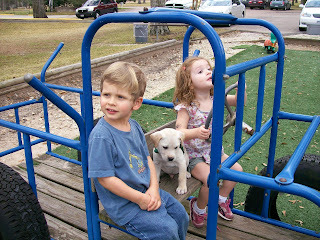 But he'll have to wait until he's a little older and more responsible - for now, we'll enjoy playing with Bailey. 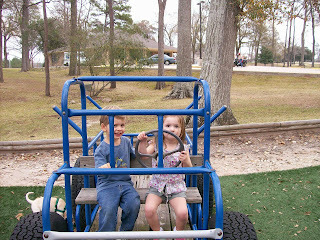 Kaelin and Dawson playing in the car at the park. 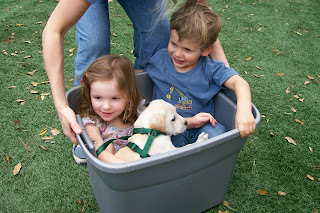 Bailey, Kealin's new puppy, also came along for a ride. 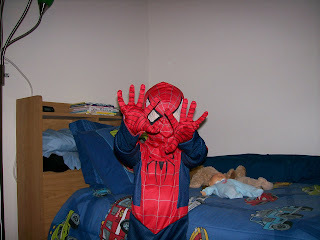 Here are a couple of pictures of Dawson in his new Spiderman costume. Thanks Elizabeth, Dustin, Chance, and Caselyn for the great birthday present! !